At Hanham Methodist Church you are assured of a warm welcome! 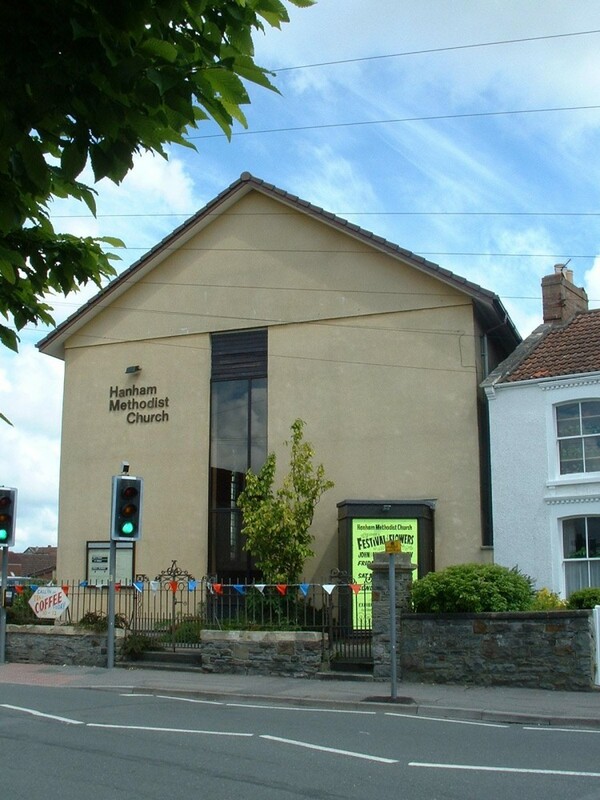 The Church is situated in Chapel Road, Hanham, Bristol, BS15 8SD, on the outskirts of Bristol, close to the World Methodist Heritage site, Hanham Mount. We are part of the Bristol and South Gloucestershire Methodist Circuit, which itself belongs to the Bristol District, We pride ourselves on being a welcoming and friendly church! Every Sunday we have a morning service at 10.45am, and an evening service at 6pm, except when we have Messy Church! Our Messy Church meets on the 1st Sunday of every month at 4pm - see our Messy Church tab for more information. Our Church is also busy during the week - details can be found on our Calendar, on our Church Activites tab or in our magazine. If you have any questions about the Church please contact our Lead Minister Rev David Willis via the contact details on this site. David would be pleased to speak to any individual who wishes to know more about the Christian faith, or to enquire about baptisms, weddings and funerals. Looking to hire a room? We have a variety of rooms for hire - please contact Jennifer Angell on 0117 9611921 for more information. If you are new to our Church please do make yourself known to one of the Church Stewards. We are always pleased to see new people in our midst. However long or short your stay in Hanham we pray God’s blessing and peace upon you.